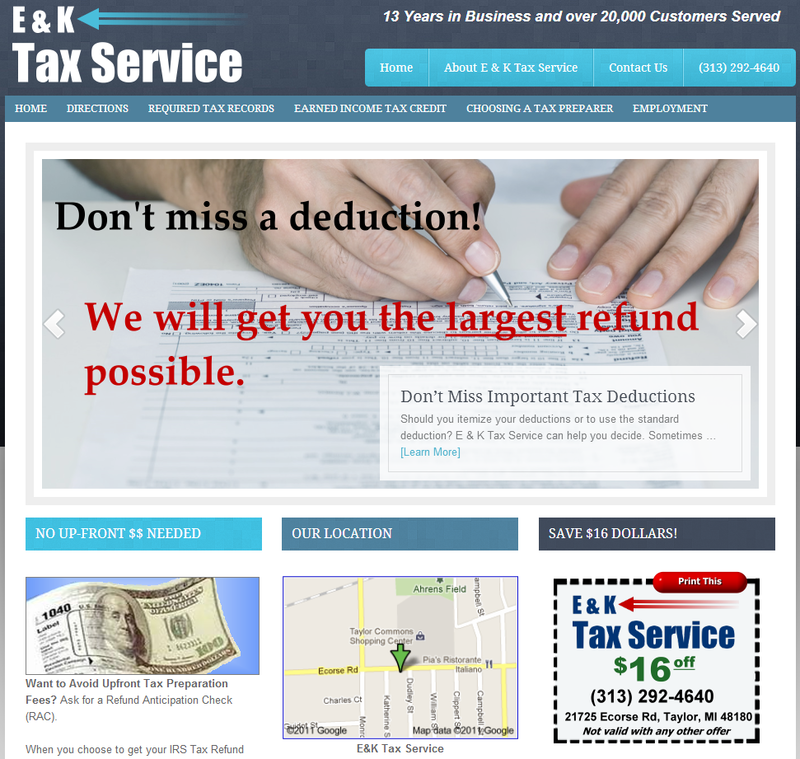 EK Tax Service is a WordPress site built on the Genesis framework from Studio Press. The site provides information about the about the services offered by an Income Tax Preparation business. This is a budget site that is updated prior to each Income Tax Season. Contact Me by email and I will be happy to answer your questions.